Hazaribagh is a beautiful place situated in the hilly terrain of the Chota Nagpur Plateau that offers an amazing picturesque view of landscapes full of forests, lakes and hills. The town derived its name from two Persian words, "hazar" meaning "thousand" and "bagh" which means "garden". Thus, the word Hazaribagh means a city with one thousand gardens. It has a rich cultural heritage and is known for its handicrafts made by the local artisans of Jharkhand. The best time to visit Hazaribagh is during the winters as the average temperature remains around 15 degrees Celsius, making it a pleasant weather for sightseeing. During the summer, Hazaribagh experiences a temperature between 28 to 35 degrees Celsius. Thus, it it really uncomfortable for tourists to visit this place at that time, especially from March to May. Although, the monsoon brings some relief from the scorching heat, heavy showers make it difficult for visitors to explore the city. By Air: Birsa Munda Airport in Ranchi is the nearest airport to Jharkhand. Tourists can travel directly to Ranchi and take a cab from there to reach Hazaribagh. By Train: Hazaribagh railway station is the nearest railway station, which is situated at a distance of about 75 km from Hazaribagh town. It has direct trains from almost all the major cities of India. By Road: Hazaribagh is extremely well connected by roadways to Kolkata, so tourists can hire a cab to reach this town in Jharkhand via Bokaro Steel City. While you are on your way to Hazaribag, there are a few stopovers that you can explore such as Bardhaman and Durgapur. Bardhaman is a perfect weekend getaway en route to Hazaribagh as it offers a number of tourist attractions, including the ones of historical importance. This place is one of oldest places in India as it is believed to be in existence since the Stone Age. Curzon Gate, Hawa Mahal, Damodar River Beach, Burdwan Church and 108 Shiva Temples are some of the major attractions in Bardhaman. Located at a distance of 170 km from Kolkata, Durgapur is known for its industries and natural beauty. It is popularly known as the Steel Capital of West Bengal. Durgapur has a number of temples that attract a large number of devotees on a daily basis. Deul Park, Kumaramangalam Park, Garh Jungle, Durgapur Barrage and Bhabani Pathak's Tilla are some of the best tourist spots in Durgapur. Hazaribagh is surrounded by forests and has a number of rivulets flowing swiftly, making it a beautiful sight to watch. The town is also quite popular for its ores and minerals. 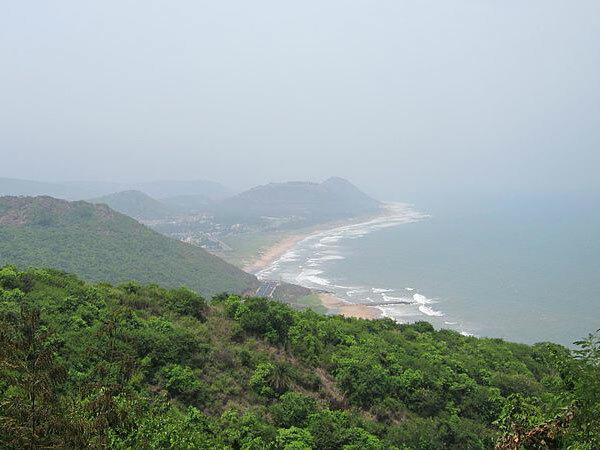 Dense forests, hills, temples and lakes make it a perfect weekend getaway for tourists. It offers a number of beautiful tourists attractions such as Hazaribagh National Park, Canary Hill, Konar Dam, Urban Haat and many more. Check out this list of places that you can visit in and around Hazaribagh. Established in 1954, Hazaribagh National Park is one of the oldest national parks in the country. This national park aims at conserving wildlife and providing proper shelter to endangered species. Tourists can spot wild animals such as cheetah, nilgai, spotted dear, kakkar and many more in this national park. The national park includes dense forests, steep hills, several rivulets, lakes and lush green meadows, making it a perfect place for sightseeing. The Hazaribagh National Park is located on the Chota Nagpur Plateau and covers an area of 183.89 square km. It is said to be one of the most easily accessible national parks in India. Hazaribagh Lake is one of the most popular tourist attractions in the city. This lake is divided into four parts and the third lake is famous amongst tourists for the stunning views of sunrise and sunset. Many photographers can also be seen at this lake capturing the scenic beauty of Hazaribagh Lake. Apart from the lake, this place also has a huge garden where tourists can take a ride on a toy train and revisit their childhood memories. Canary Hill is another famous landmark in the Hazaribagh town. Located at the centre of a dense forest, this hill has a small lake at the base. Tourists generally climb up the hill through the steps to get a complete view of western Hazaribagh. They can also enjoy the sunset from Canary Hill. On the top of the hill, there is a rest house along with an observation tower. Visitors are allowed to climb up this tower and catch a glimpse of the forested area in the eastern part of Hazaribagh. Located at the confluence of river Damodar and river Bhera, Rajrappa Temple is an ancient Hindu pilgrimage site in the district of Hazaribagh. It has a famous temple which is dedicated to Goddess Chinnamasta and attracts hundreds of devotees, mainly from eastern India. The temple features several idols of Goddess Kali, Ashta Dhari and Lord Hanuman. It is said that the location plays an important role in the religious significance of this temple. Constructed on river Konar, this dam is located at a distance of about 60 km from Hazaribagh. The Konar Dam was the second dam that was built by the Damodar Valley Corporation as a part of their four multipurpose dam projects. This place serves as a popular picnic spot or weekend getaway for families as it offers beautiful views of the surrounding landscape. The Urban Haat showcases the handicrafts, such as Sohrai paintings, terracotta figurines, leather products, etc., made by the local artisans of Hazaribagh and other different places in Jharkhand. If you are an art lover, then this place is a must-visit for you. The complete decoration of the haat has been done using Sohrai art work that gives an aesthetic look to Urban Haat. In addition, this place also has a few delicious food joints which are ideal for food lovers. Best Time To Visit: Tourists can visit this place throughout the year.